The following comments have been received from traders over recent days. 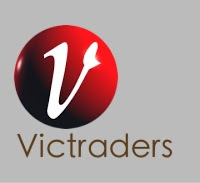 20/02/2013 14:53:08 Thursday Night Trading - "Hi Ariel Gabizon - In the case of the trail for Thursday night trading, l was suggesting to that traders would have the choice of either the standard Day market or trading in the Night Market. Night Market you would trade from 12pm till 8pm. It was a choice of 1 or the other. I hope this clears up any confusion you may have in regards to this. 21/02/2013 09:34:17 SUZUKI NIGHT MARKET EXTENDED SEASON? "Are we are are we not continuing till the end of March??? Management must think that we traders do not have a life outside of QVM. We traders need more than a couple of days notice!!!! We have to organise staff, some of us have booked holidays in march and get extra stock ready. Also the gold coin charity donation/ market fund raiser last night was very poor form. Either you do it for the whole summer market or not a tall . Is QVM not making enough $$ from the Night Market ?? 21/02/2013 09:41:58 trading times "Surely the simplest change to make initially would to put the trading day back - say 10am to 5pm - and be consistent by making every day the same. This would apply to the General Merchandise only." I am disappointed that you choose not to post my letter earlier this week about Suzuki extension to end of March and the poor form regarding Gold Coin donation also at Suzuki ! Changes in retailing have brought us many new ways of interacting with customers but we found this one at our back door. Trader Mino has found success by posting photos of himself with customers on social media. We have posted articles before about the new trend, particularly in the younger generation, to take photos while they are shopping and then sending them to their friends via social exchanges like Facebook and Twitter. The old practise of traders banning photos is no longer appropriate, unless you want your customers to stop advertising your products. Mino has taken the process a step further and actively encourages customers to take photos or takes his own photo with the customer and then posts it on online. If he comes across a customer taking a photo he hands them a business card and asks them to email him a copy of the photo. Mino estimates that 80% of those customers oblige. When the photos end up on the QVM Facebook page with its 17,000 friends, the exposure takes off. Getting your customers involved, and showing others, seems a smart thing to do. Let's say first up that you are not likely to get a lot of direct purchases from Facebook but substantial benefits can still be gained. Facebook is a great (free) way of communicating with your customers on a digital level but to get results you need to avoid the hard sell and introduce the human factor. Last Saturday I posted on my business Facebook page about a popular product in my range. I very carefully prepared a concise description of the products benefits, added a clever (in my view) photograph, and a competitive price. I received a rather disappointing 3 "likes". The week before I had posted a photo and story about my Grandaughter's first day working at our stall and received 9 "likes". Both posts presented my business to my customers but the social interest story obviously won out. That doesn't mean I will stop posting about products. My customers expect to be kept up to date particularly about new product arrivals. But I need to include social interest stuff as well. Facebook is described as being a bit like doing business in a pub. You wouldn't expect your bank manager to come in and give a hard sell on interest rates but meeting and socialising with him might make you more likely to give him your business. It is all about establishing a connection with your customers. 1. Spending by Chinese visitors to Australia up 16%. 2. JB HiFi shares reach 12 months high after strong profit performance for first half. 3. 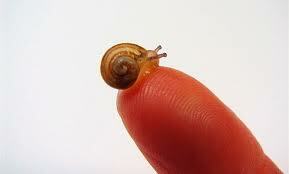 French and German economies shrink in 4th quarter. 4. Metcash launches new Harvest Market fresh food concept with 3 stores in NSW. 5. ASIC forces Mr. Rental to refund $300,000 unfair contract early termination fees. 6. Noni B reports 20% drop in first half profit. 7. ACCC to investigate claims that Coles and Woolworths intimidated suppliers. 8. Cash Converters almost doubles first half profit. 1. Hong Kong receives 33% more visitors from China during this year’s New Year celebrations. 2. Mining giant Rio Tinto reports first ever loss. 3. David Jones exits DVD, music and game categories as sales slip. 4. Australian share market reaches its highest level in 4.5 years. 5. UK’s successful department store, John Lewis, axes 325 department managers in new focus. 6. Commonwealth Bank shares hit record high on $3.66 billion half year profit. 7. Westpac consumer sentiment measure hits 2 year high. 8. Parliamentary Committee plans to challenge global giants like Apple, Microsoft and Adobe on why Australian prices are higher than overseas. 9. Adobe knocks 20% of its Australian prices just one day after being summoned to Parliamentary Committee. 10. ACCC tackles Toyota for misleading information on the use of leather in car interiors. 11. Nestle reports slowest annual sales growth in three years. 12. Wesfarmers (Coles, K-Mart, Bunnings) reports 9.3% profit rise in first half. Here is Microsoft's view of how retail will look in 2020. Some of these changes have started. Did anybody else notice that String Bean Alley seemed to benefit from greater exposure last Sunday? On a warm Sunday in February there were more traders absent in the general market than normal. There were large gaps in L shed with up to 4 adjoining stalls empty and the result was much greater exposure for the new String Bean Alley traders. One trader told us it was his best trading day since opening. On an otherwise quiet Sunday that was significant. Our heading is deliberately provocative. We are not proposing getting rid of anybody but Sunday’s accidental exposure may give management another lead. The traditional customer flow up the top sheds (the S flow) has obviously not embraced String Bean Alley up until now. More radical exposure may be the answer. Thank you to the trader who sent us the following comment yesterday. 14/02/2013 12:31:51 Stringbean Alley no longer LocallyMade & Designed "It seems that the market management have not held their nerve when it came to Locally Made , Locally Designed in Stringbean Alley. Last week a QVM trader who makes & prints their t-shirts in Asia has taken up residence in Stringbean Alley....and other traders who also make in Asia, who also applied and were rejected because they did not fit the criteria are not happy. To quote the QVM Stringbean Alley flyer ...."" locally designed , locally made, artisans wares...."" was the why all the original residents of Stringbean Alley decided to get on board with a new precinct at QVM. But now it seems that because 3 of the 9 initial residents of SBA have left ,management have gone for the easy option of getting current QVM traders to occupy the containers on SBA. So whats the difference between SBA and the general market ???? QVM had an opportunity as the leading market destination in Melbourne/ Victoria to showcase locally artisans making and designing on site, management said many artisans had applied to be in the SBA?? So where are they ?? Editor: If QVM Management have not made professional endeavours to attract suitable artisans to String Bean Alley then that is unacceptable. However, if suitable artisans are too scared to become involved in a new retail endeavour in the current climate (and who could blame them) then tweaking the product mix is a good move. The trader in question may not meet the strict guidelines originally laid down for String Bean Alley but they have shown themselves to be professional traders and are arguably the pick of their genre in the market. We posted an article on this website last week about innovation sometimes being adhoc (http://www.victraders.com/2013/02/why-business-innovation-can-be-adhoc.html) and String Bean Alley was identified as a potential candidate for experimenting and adjusting to meet the reality of modern retailing. 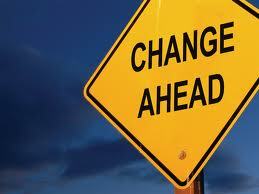 That article pointed out that willingness to change direction can be an essential part of ultimate success. 15/02/2013 18:59:42 "There was an opportunity to have a new distinct artisans alley @ QVM but as I said the management lost its nerve. 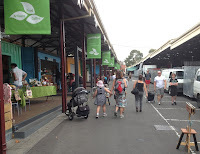 There are other artisan markets in Melbourne ( Rose Street and occasional popup markets ) . An artisan market would have been another string in the bow of QVM , just like the food section, fruit & veg, general market etc. There is plenty of room for traders who want to import goods from Asia, but before SBA there were no artisans. What I said stands.......Opportunity Lost." Thanks for your input - Ed. 16/02/2013 10:23:40 "I do agree with most of what was written, but the market has always had artisans under the shed, but good points made"
17/02/2013 18:20:06 SBA "So whats stopping the management going back through their books and looking up the original people that were interested in becoming traders in SBA? Approach these potential traders or artisans of their trade to come and sell their australian made product!" The Diploma of Retail Management Multichannel is an innovative program specifically designed to build business knowledge as well as online trading, marketing and communication skills for local retailers. The Diploma offers excellent value for money and is delivered with ongoing mentoring and coaching to assist participants to put their learning into practice. The first course of its kind in Australia, the Diploma supports small to medium retailers in delivering a seamless brand experience across all channels (online and offline) in the modern retail environment. To guarantee your government funded place please complete the ARA Retail Institute enrolment form. It would appear that recent articles about Tuesday or Thursday Night trading for GMT have created some anticipation. As attractive as the concepts might be to some traders, we want to stress that both proposals have not been taken beyond the concept stage. We have not methodically canvassed all aspects of evening/night trade for GMT and in fact there have been no discussions with management as yet. The new TAC Retail Sub-committee does have hours of trade on its agenda and we anticipate that concepts like this could be raised at a meeting in the near future. In the meantime your thoughts and comments are most welcome and we will notify any developments on this website. We have received this well thought out proposition from one of our traders on a trial to vary the market's operating hours. There seems to be general consensus that our hours of trade need to be reviewed and there are certainly some worthwhile ideas shown here. What do you think? "I would suggest that we look at the concept of night trading, on all of our weekday trading days, but let’s start small and complete a trial of one of our days. I would suggest a 6 month comparison trial. We all know that there are mixed reviews from the Wednesday Suzuki Night Market, with some people saying its only the food that do well, some saying all traders do well and some saying it all depends on the night, and were your stall is located. Let’s face it that is market life, for all of us in the day market as well. It is evident that the shopping trend is changing; you just have to take a look around at people, their buying patterns and behaviors to see this. We are continually seeing less and less of people arrive in the mornings and more arrive in the afternoon. If we are flexible and look at changing to suit the needs of our customers in this new era, we will all benefit from stronger attendance and therefore sales;capitalising our individual businesses as well as reviving the Queen Vic. In my opinion lets trial a Thursday night market. But before you all jump up and down and say, “but I don’t want to do nights”, and “what about us, the Fruit and Veggies, Meat, Fish and Deli areas, why should we be forced to do a night market?”Don’t panic. I am merely suggesting a partial trail for the market.We could split the market in 2 halves “E” – “A” Sheds and “L” – “J” Sheds. Regular market traders that do not wish to participate will work in sheds “E” – “A”. Traders that wish to partake in the trial, set up in sheds “L” – “J”. I’m suggesting the night market trial the hours of 12pm till 8pm. I put forth Thursday for the trial as the city is already open for late night trading, which will allow us to attract some of those shoppers already in the city. It also allows for all the people living in the city, who after work are looking for things to do. Tourists staying in the city will have another attraction to visit during the evening. All stalls would need to be set up by 12pm, with all boxes and cars removed from the aisles by 12pm. After 8pm boxes and/or cars are allowed access back into these aisles. I would also suggest that we could bring some of the Suzuki Night Market atmosphere into this trial, by asking some of the performers from the Suzuki Night Market if they wish to participate. “L” shed could become the hub for food, allowing String bean Alley to participate in this trial and bring patrons out towards that area. Also using “L” shed means that no current traders are disrupted from their normal stalls, as this shed is not used as part of the Thursday day market. I would suggest that the standard stall areas (size as per traders current set up) that are in use during the day market are also the standard sizes brought over to the trial. Traders who want to participate in the trial are allowed to occupy their permanent stalls if that stall is within the area of the trial sheds. ie: if I have a “J” shed stall and I wish to participate in the trial, then l keep my current “J” shed stall, but if l have a “J” shed stall, and wish to do the day market, then I will need to move to a stall in “E”, “D”, “C” sheds – And vice versa for day traders." 06/02/2013 19:12:10 Thursday Night Trading "Hi Guys, I am happy to have my name put to this, and my stall numbers as well. Do not mind if traders want to come and have a chat. If I'm going to say this sort of thing, l am happy to let people know that l am the one that wrote it. 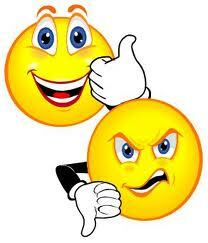 06/02/2013 09:09:05 "Great idea!! as all stallholders are hurting in the hip pocket with the exception of a few.Asking the office to work extra time,the security,the cleaners and the carpark This will be your biggest hurdle!. I believe the stallholders will do it they do have a passion for the place. 1x sockstall 1x wigs 1x mens shoes 1x giftware 2x australiana tops 2x mens wear 2x ladies shoes 2x aust souvenirs 2x uggs 2x handbags 2x scarves&hats 2x ladies clothing 1x sunglasses 1x kitchenware 2x runners 2x jewelery 2x toys 2x fone accessories 1x hairbrushes 1x hair jewelery 2x soaps 2x keycutting service 1x indian souvenirs If we limit the number by the variety we have a beta chance of success, "
08/02/2013 17:16:52 Thursday Night Trading "One of the key aspects to this, would have to be product mix. I do agree that we need to limit the number of stalls selling the same products. It is a fine line on how many of each product type do you allow in. Things like Ugg Boots, for example, 2 would be ample, but only 2 Ladies Clothing stalls, would prevent a variety of ladies fashions being available." Your Trader's Representatives today met with management in the formal Trader's Advisory Committee. This meeting further refined the formation of our two key sub-committees and set a program for meeting dates. The Retail sub-committee will meet on Monday 18th February to consider various aspects of the QVM retail offer and how it can be improved including the further development of String Bean Alley. The first Marketing sub-committee meeting will take place on Tuesday 26th February to consider various marketing opportunities, and how traders can best be involved in their implementation. Each sub-committee will report back to the full TAC for consideration and we expect to have more news for traders as the meetings progress. 1. Kathmandu predict 13% sales increase for first half. 2. Local retail heavies including Gerry Harvey, Brett Blundy and John Gandel have made this year's Forbes Asia's rich list. 3. French luxury goods giant LVMH, which owns Christian Dior and Lous Vuitton, has posted a sharp rise in profit and record sales for 2012. 4. Starbucks opens its first Vietnam store in downtown Ho Chi Minh City. 5. ACCC accuses Visa of trying to limit use of competitive currency conversion system. 6. National Retail Association urges RBA to hold rate cut until full picture of December retail sales is available. 7. RBA holds cash rate at 3% in February review. 8. Online superpower Asos reports 41% growth on back of international dominated business. 9. Woolworths outsources road transport to Linfox. 10. ACCC authorises Casual Mall Licensing Code of Practice till 2017. 11. NSW McDonalds offers world first table service. 12. Ibisworld predicts dinner for two will be top Valentines gift in 2013. 13. Latest ANZ’s monthly job survey shows decline for 11th straight month. 14. Australian unemployment holds steady at 5.4%. 15. ABS statistics show house prices rising by 2.1% over 2012. According to one of our traders this is the buzz phrase for the week - "You can't bank margin". He is referring to the propensity for retailers to sit on stock that they have brought at a great price and then steadfastly refusing to reduce their selling price despite slow sales. Having a great margin might give you a warm fuzzy feeling inside but moving stock and creating cash flow is more important. This is particularly important in a volatile retail market where today's hot product is potentially tomorrow's dud. Thanks to Jim Antonopolous for this tip. The all important December sales figures are out and there are some interesting observations, particularly from Commsec's Chief Economist Craig James. Firstly, December retail sales declined slightly although the long suffering footwear and personal accessory categories were up 4.2%. Department stores showed a slight improvement, and clothing, hardware and garden supplies were up. Newspapers and books showed a massive 7.2% drop. Pharmaceuticals, cosmetics and toiletries were down 2.8%. Thursday nights new season fashion launch by David Jones was as much about digital marketing as it was about the fashion. Guests sat in front of screens in major capital cities while others viewed the catwalk on their computers, tablets, or mobile phones. Customers were able to click on items and receive emails detailing the product, it's price, and availability. Next year they will be able to select and purchase items straight from the catwalk vision. This sort of technology adds real time feedback through avenues like Facebook and Google Search and, although it costs more to stage, David Jones are confident it will reap rewards. "Summer is one of the best times to visit Queen Victoria Market so we thought we'd compile a selection of images from our #summeratthemarket photo competition to showcase what we love most. Can you spot your market snaps?" It is a common misconception that great business plans are always pre-planned to absolute detail and follow a structured path leading to only one possible outcome. That is not always the case. YouTube started off as a video dating service that didn't really capture the minds of its users but the aspect of swapping videos stuck and a major social media entity was launched. Tiffany's started off as a New York stationery store and Twitter started life as a podcaster that became overshadowed by the likes of itunes. In an era of new start ups, massive technological change and, in the case of retailing, a new customer mindset, we need to break new ground and that may mean that standard planning rules don't apply. 1. Plan your project and the steps needed to achieve it. 2. Take your first step and assess response. If it is positive, move on. If not, reassess, and be prepared to take a new direction. 3. Continue the process until you successfully reach a conclusion. String Bean Alley is probably a good example of a project needing innovative and flexible thinking. When customer flow refused to embrace the new add-on (and that may be its problem - adding on rather than integrating) a reassessment, and perhaps change of direction became necessary. String Bean Alley is to be the subject of a management reassessment as the new year starts and we wish it every success. Getting back to our original point - innovation isn't always predictable and having the flexibility to adjust your path is important. Reading the signs and changing direction isn't always a sign of poor management but rather a willingness to achieve the right result. This applies to our own businesses as much as the structures around us. This video was put out by google as a spoof to show how customers can get frustrated with online shopping. Hopefully none of our traders create the same confusion at their stalls. Waiting for things to return to normal (whatever that is in retail) is a choice full of dangers. Many Australian businesses would like the A$ to return to 70-80 US cents but as Qantas CEO Alan Joyce said this week, that is unlikely to happen under current conditions and decision makers must assume the dollar will remain at current levels. A similar attitude could be taken with customer numbers at QVM. There are traders waiting for the return of greater customer numbers. How often do you hear the phrase "just get us more customers and we'll be fine". Yes, effective marketing and promotion have their role in attracting more customers to QVM but we may have to live with smaller crowds for quite some time. This is particularly true if our A$ stays strong and Australian tourists travel overseas rather than interstate.The problem then becomes how we engage those customers that do come, provide the service they are looking for, and keep them coming back. 1. EFTPOS facilities - essential in today's digital environment. 2. Honesty - this may sound stupid but the point is our customers are smarter than ever thanks to web searches and global access. Traders have to be completely up to date on price, quality, and availability if they wish to survive. 4. Digital access to your business through a website or Facebook. 5. Constant innovation in product selection and stall presentation and appearance. Are you waiting for things to change, leaving it for someone else to do, or accepting the customer's challenge to provide retail excellence? This weekend customers were able to walk from the carpark to A shed via a new walkway. Established halfway between the W centreway and Peel St, the new passage has created a different traffic flow for customers. Trader reaction so far appears favourable although the Fruit and Vegetable Traders who threw their rubbish into the new walkway on Saturday may have been trying to send a different message. The walkway creates new corner spots and tends to break up the monotony of our long aisles. Playing with our traditional traffic flows requires some caution. Customers find it difficult enough to return to previously visited stalls without creating new options. However, if we can give better exposure to traders by creating new corner spots and add convenience and flexibility for our customers then this initiative deserves support. What do you think? This post was inspired by JR of E shed who makes some interesting points below. and we didn't have the problem of people trying to cut through the back of our stall in ""E Shed "" It should work out well for all traders. 1. Major transport group, Wettenhalls, collapses with receivers appointed. 2. NAB business confidence December survey shows improvement following good news for world economy. 3. Woolworths sacks two senior executives for accepting inducements from fresh food suppliers. 4. 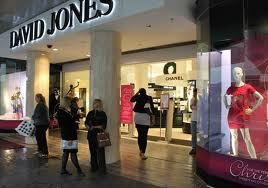 Online retailer Shoes of Prey teams up with David Jones to launch in-store sales booths. 5. Finnish mobile phone giant Nokia reports first profit in 6 quarters. 6. Costco reports first profit in Australia. 7. Fremantle becomes first council to ban non-degradable plastic bags. 8. December quarter house prices in every Australian capital city rose for first time in 3 years. 9. Baby goods company Mothercare placed into administration after sale to Myer fell through. 10. Luxury fashion house Dior opens first Australian store in Sydney. 11. 40 US states given authority to charge extra for credit card sales. 12. 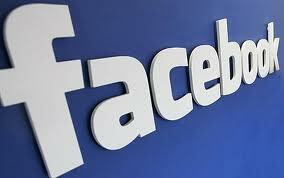 Facebook beats analysts expectations with $1.58 billion revenue in December quarter. 13. Starbucks reports 13% increase in profit for December quarter. 14. 7-Eleven in Sweden rebrands itself with a retro look. 15. Coles and Bunnings help lift Wesfarmers sales by 4.7%. 16. Laura Ashley launches menswear collection. 17. 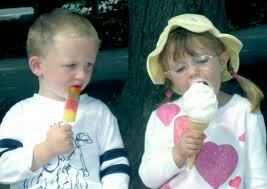 Bulgarian company Lactina to open more than 870 yoghurt shops in China by end 2014. 18. Myer drops injunction against fashion brand Ellery, allowing it to sell to David Jones. 19. Woolworths December half sales up 3.2%. 20. British luxury lingerie brand Agent Provocateur opens space at David Jones. 21. Kathmandu reports better than expected first half sales. 22. 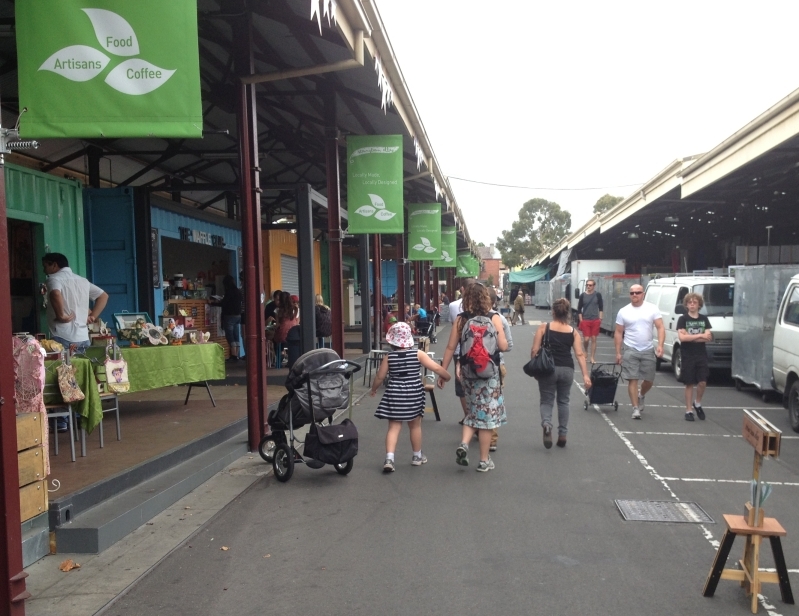 Markets Central reports new permanent structure Sunday market at Sydney’s Marrickville Shopping Centre. 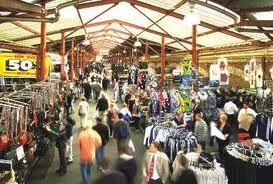 Camden Market is one of the biggest in London with an ad-hoc combination of high street shops and market stall enclaves. It makes our QVM look very orderly. This market has relevance to QVM because it contains more than just food. The video is quite long at 6 minutes, but worth a look. Today's Herald Sun contains an article in which The Lord Mayor dismisses any attempt to build a high-rise over the carpark but other options are aired. Council may consider an apartment block in the Franklin St carpark and shed area as a way to help fund the $100 million-plus market redevelopment. The article stated "Council has been presented with ideas that include turning the main carpark into a park and plaza, with an amphitheatre, and bringing horse-drawn carriages to the area." Finally, it was confirmed that a business plan for QVM re-development has been put before State Government. Why Not Swap Product Ranges? Many businesses, even some very big ones, have taken a sideways glance at other industries as they look for growth opportunities and a way out of their own sales decline. Statistics show that such a course can be a recipe for disaster. I think it is fair to assume that every trader at QVM has looked enviously at another trader’s product range. Wouldn’t we all like to be selling mobile phone covers right now? Working out the chances of successfully changing your product range at the market is not easy although studies have been done on larger companies. A recent study of a large cross section of firms trading on the share market showed that the differences in profitability between different categories of industries were not great (around 15% median difference between best and worst). However, within categories there was a big difference between good performers and bad performers. The conclusion was that you were better off getting your business to perform in the top range for your existing category than switching to a different category. In other words stick to what you know best and give it your best. Small businesses like QVM market stalls have built in flexibility. It is one of the essential ingredients of this type of business that you can react quickly to retail trading conditions. This is why it is so frustrating when change is in the hands of others. The long process of MCC/QVM Board/Trader meetings seems eons ago and little has been achieved. Sure, there is now a program of TAC meetings but these are scheduled every two months. We are currently establishing two sub-committees with management to address specific issues but one of these sub-committees will not meet until 20th February and the other has not yet been set up. Our desire for action may seem a little impatient to more corporate types except for one essential ingredient. Traders are losing money. In fact some have been losing money for the last 3 years. Failure to address this income problem makes a mockery of consultation and claimed concern for the future of QVM and its traders. Quick action and strong leadership are desperately needed. February is traditionally a very quite month for trading at QVM. The Christmas buzz is over, kids are back at school having emptied their parents wallets, and there is not a lot happening in Melbourne between the Tennis Open and the Grand Prix. But there are ways to make good use of your time. 1. Clean out -February is a good time to get rid of all those end-of-lines, shop soiled or dud items that have been collecting on the shelves all year. Get rid of unwanted stock, convert it to cash, and reward your February customers with some ridiculously cheap prices. 2. Spring clean - setting up and folding down each day puts significant wear and tear on all our fixtures and fittings. February is a good time to organise repairs and do some sprucing up. 3. Experiment - got plans for changing things this year? February is a good month to try out that new display arrangement or merchandising idea you've been thinking about before business hots up. 4. Plan - haven't got any plans for change this year? Well it is about time you thought of some. Retailing is going through a period of significant change and those that sit and wait for change to come to them will be left behind. Think about a website, social media involvement, direct sourcing of product, new product ideas. The sky is the limit. 5. Take a holiday - we've left the most attractive option till last but remember, if you do take a holiday in February, schedule all the above for when you get back.